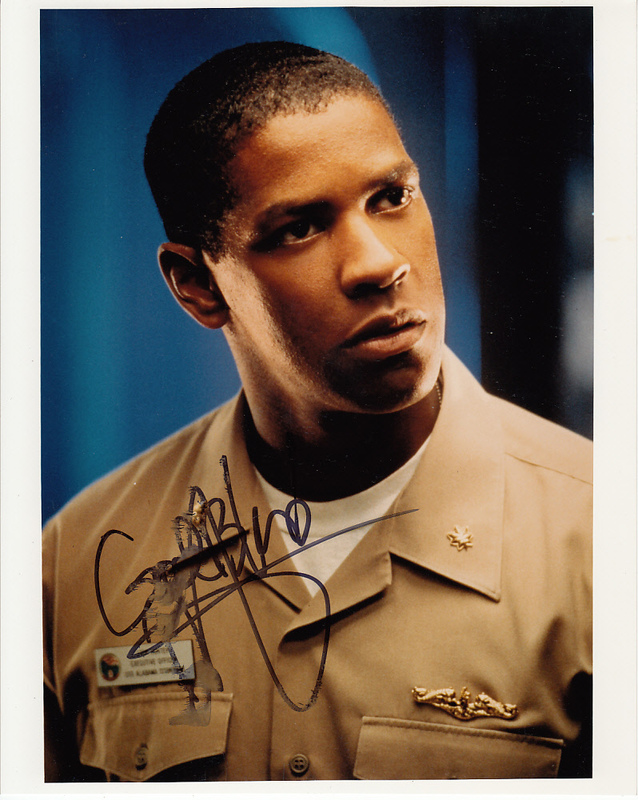 8x10 photo of Denzel Washington from the hit submarine movie Crimson Tide autographed in black marker and inscribed God Bless, but smudged. Obtained in person, with certificate of authenticity from AutographsForSale.com. ONLY ONE AVAILABLE FOR SALE.